Avoid any form of distractions that might come along the way, don’t spend your time on things that are unimportant to you and your business. This is very important for you to get to the point you desire to get to in your business and life generally. Don't try to say yes when you know you will not be able have the time help out with people's tasks. 3) Set your priorities according to their order of importance. If you want to stay ahead in life and your business, it is important that you arrange your priorities according to how important they are to your life and your business. In situation where you will have a lot to do, it is better to have a diary where you can write all the important things either personal or business that you will be doing throughout the week. Where there is much to be done at the same time, you should be able to give out some task for others to engage themselves in thereby helping you. There is need for you to stay clear of all bad habits that you might be having as this is actually responsible for wasting close to 30 percent of that time you will have spent on important tasks on a daily basis. It is important to plan all your daily, weekly, monthly and yearly tasks. What this does is that it gives you an insight to knowing when you will be free, allows you to have more time for other activities and also allows you to have time for you family. 1) It leads to more successes in business. 3) It gives you more time to rest. 4) It reduces stress and fatigue. 5) It leads to a healthy life. 6) Make you to be more focused. 7) More time for your family and self too. 8) It helps you to properly manage available resources to achieve maximum result. 9) It helps you identify areas needing urgent attention in your business and in your life. 10) It helps you to properly monitor and manage your business. 11) It helps you to plan ahead. 12) It helps you to be able to monitor or track success in your business and life. 13) It helps you achieve more in life. 14) It helps to reduce distractions to the barest minimum. Please post your comments and additions on the blog. 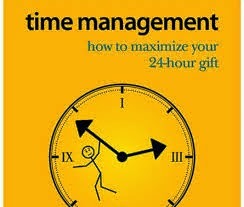 Great idea on time management. I have added to my knowledge on this matter. Thank you. @ Jignesh Parmar. Thank you so much for reading. @Beeyee. Thank you so much for reading. I am happy that you were able to add to your knowledge on time management.